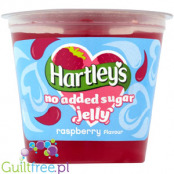 Hartley's jelly with the sweet taste of ripe strawberries is a wonderful, sweet and innocent dessert - the whole jelly cup is just 5kcal and zero fat - that is 13 times less calories than regular jelly and only 1g carbohydrates.Excellent and light addition to yoghurt, omelette, waffles, ice cream, pancakes and cakes or just a sweet snack. 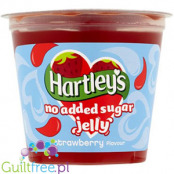 Delicious strawberry jelly with no sugar and no fat, with natural dyes. 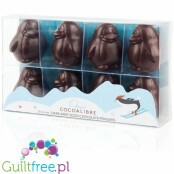 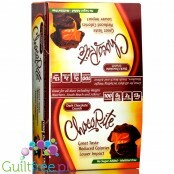 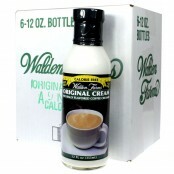 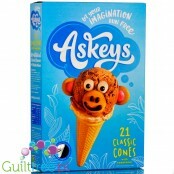 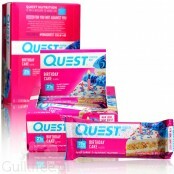 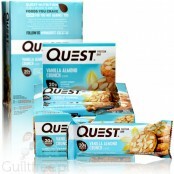 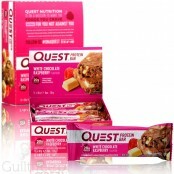 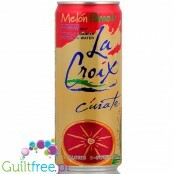 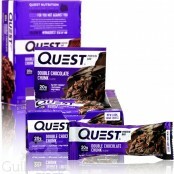 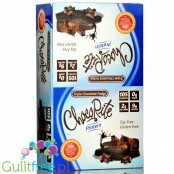 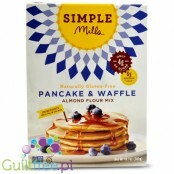 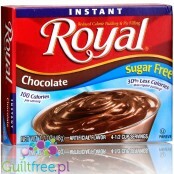 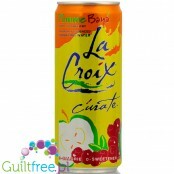 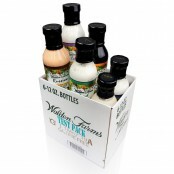 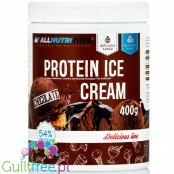 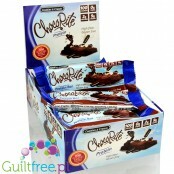 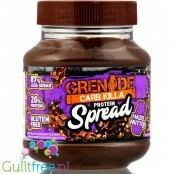 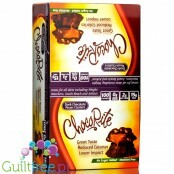 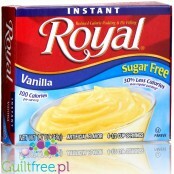 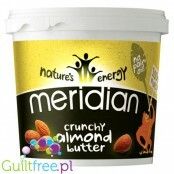 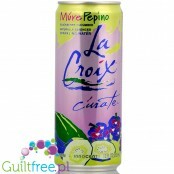 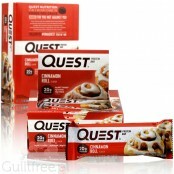 The double pack contains 8 servings and each delivers only 9kcal. 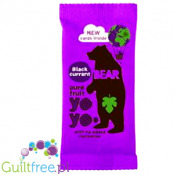 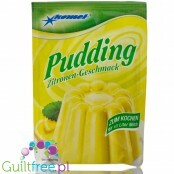 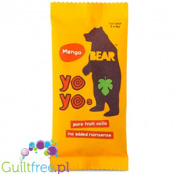 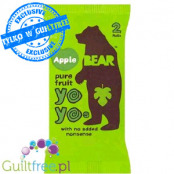 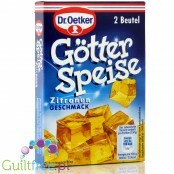 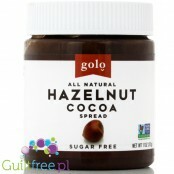 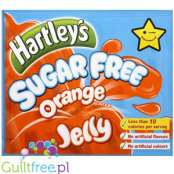 Delicious jelly sugar-free and fat-free jelly, with natural dyes. 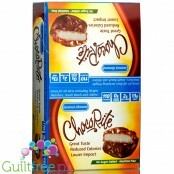 The double pack contains 8 servings and each delivers only 9kcal. 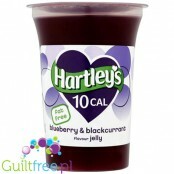 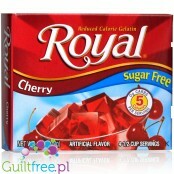 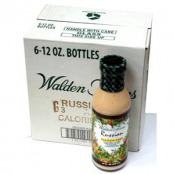 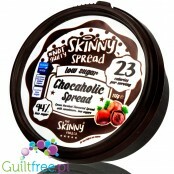 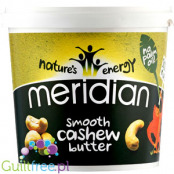 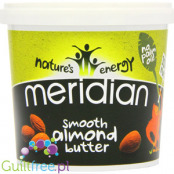 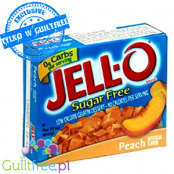 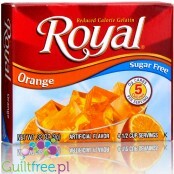 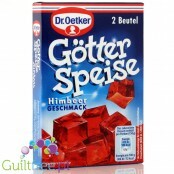 Excellent sweet dessert on reduction - a large bowl of sweet fruit jelly is only 15kcal. 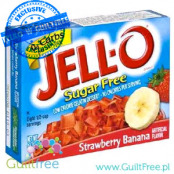 Jell-O jelly is a wonderful, sweet and innocent dessert - one serving of jelly is only 10kcal and 0g of carbohydrates - 10 times less calories and more than 30 times less carbohydrates than traditional jellyThe delicious taste of ripe strawberries and bananas delight in sweetness and perfectly satisfy the desire for something sweet. 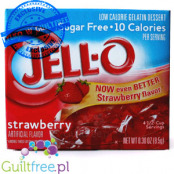 Jell-O jelly is a wonderful, sweet and innocent dessert - one serving of jelly is only 10kcal and 0g of carbohydrates - 10 times less calories and more than 30 times less carbohydrates than traditional jellyThe delicious taste of ripe strawberries in the sun delights sweetness and perfectly favors the 'sweet something'. 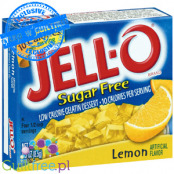 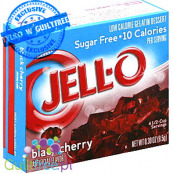 Jell-O jelly is a wonderful, sweet and innocent dessert - one serving of jelly is only 10kcal and 0g of carbohydrates - 10 times less calories and more than 30 times less carbohydrates than ordinary jelly. 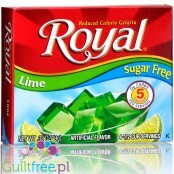 The delicious taste of aromatic lime delight in sweetness and perfectly satisfy the desire for 'something sweet'. 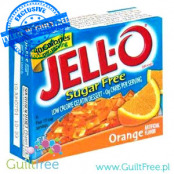 Easy to prepare, ultra-low-calorie jelly with orange flavor - the packaging is enough to prepare 4 portions of sweet jelly, each of which has only 5kcal. 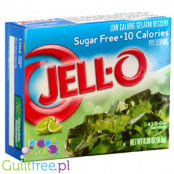 Easy to prepare, ultra-low-calorie jelly with lime flavor - the packaging is enough to prepare 4 portions of sweet jelly, each of which has only 5kcal. 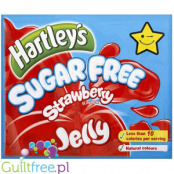 Easy to prepare, ultra-low-calorie jelly with cherry flavor - the packaging is enough to prepare 4 portions of sweet jelly, each of which has only 5kcal. 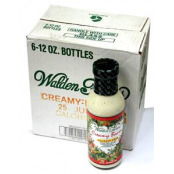 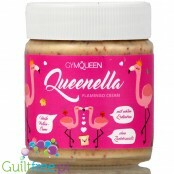 Cherry frużelina, that is, whole fruits in a thick, sweet, gel-free brine without added sugar - if you associate with zlatem and waffles, you are right, because it is cherry frużelina is this delicious cherry sauce, which is whipped cream on waffles - so much that this one with AllNutition has no sugar and has 3 times less calories! 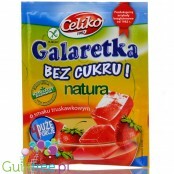 Strawberry frużelina, that is, whole fruits in a thick, sweet, gel-free brine without added sugar - if you associate with summer and waffles, you are right, because it is cherry frużelina is this delicious cherry sauce, which is whipped cream on waffles - so much that this one with AllNutition has no sugar and has 3 times less calories! 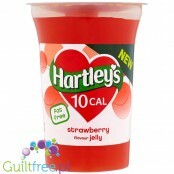 Hartley's Strawberry Jelly is a sweet taste of ripe fruit and a wonderful, sweet and innocent dessert - the entire jelly cup is just 7kcal and zero fat - that is 12 times less calories than regular jelly in that nor a gram of sugarExcellent and light addition to waffles, ice cream, pancakes and cakes or just a sweet bite. 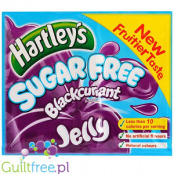 Jelly without sugar is the perfect dessert for a person on a diet, especially suitable for people on low-carb diets (including Dukan's diet), as well as on a low-calorie diet. 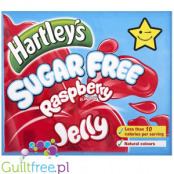 From one packet of jelly without sugar Simply Delish, Hartley's or Jell-O, you prepare up to 0.5 liters of ready-made fruit jelly - this portion will suffice you for several healthy desserts, each time satisfying the desire for sweets and fill your stomach for a long time; because such jelly without sugar almost does not contain calories (about 3 kcal / 100ml) is an ideal dessert for people on diets with a limited calorie limit (800 kcal - 1000 kcal per day). 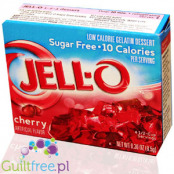 Choose the flavor of zero-calorie jelly from a dozen or so fruity flavors: raspberry, cherry, strawberry, pineapple, lime, peach, orange, lemon, cherry, blackcurrant and strawberry-banana. 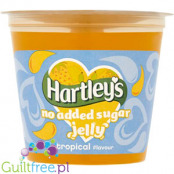 If you do not have time to prepare a healthy dessert, or you are looking for a sweet snack that you take with you to work, check ready jelly in cups - one jelly cup is less than 10kcal, you can eat it with a teaspoon straight from the cup like yoghurt choosing from the exotic flavors of passion fruit, mango, pineapple, cranberry or classic strawberry or raspberry.